Angela originally hails from Newman Grove and now resides in Elgin with her family. Cuffe has spent the majority of her life caring for others. She just celebrated her twenty-first “anniversary” of being in the healthcare field. Her career started as a certified nurse’s aide, a certification she achieved two years before graduating from high school. Cuffe became a medaide in 2003 and in 2012, she earned a licensed practical nurse diploma from Central Community College. 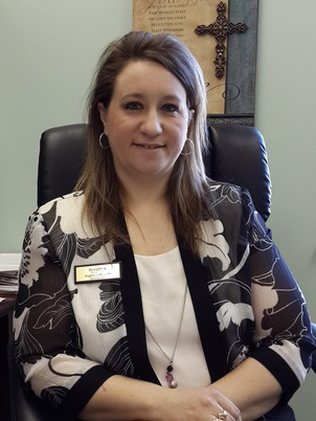 She has spent the last 10 years of her career with Cloverlodge Care Center in St. Edward, where she was a member of a team that received national awards in recognition for outstanding resident satisfaction and resident-focused excellence.